Los Angeles-based band Dengue Fever is back with the sixth full-length album of their now 14-year career, and it’s their best one yet. That’s saying something for a band who’ve made my annual top ten twice already. The band’s roots are in pre-Khmer Rouge Cambodian rock, and my favorite track here (3) is an original that harkens back to the days when they were covering Ros Sereysothea. 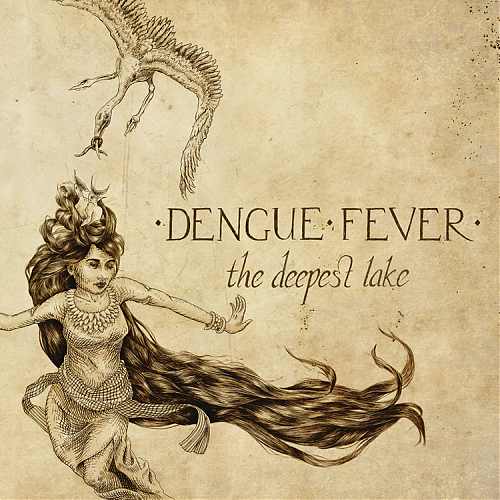 But Dengue Fever’s sound has deepened and (especially) thickened since then – track 3 is a frothy, delicious concoction of swirly organ, twangy guitar, funky bass and drums, a John Doe/Exene-esque joint lead vocal and a far-out sax solo. It’s a near-perfect pop song. And that’s just one of a half-dozen small masterpieces here: the exotic track 4, a supernatural tale (in Khmer) about late LA artist Mike Kelley; soulful, yearning 5; sweetly off-kilter 6; high-anxiety 8, ready for immediate chase-scene use; and the equally epic, cinematic 2 (about the meth house across the street from the band’s studio) which features singer Chhom Nimol’s first Khmer rapping. It’s too late to call these guys neo-Cambodian or neo-psych. They’re their own thing now: simply the best rock band in America.